India Electronics and Semiconductor Association (IESA), has announced Ashwini K Aggarwal, Director, Applied Materials, India as Chairman of the Board of Director and Executive Committee effective immediately. Ashwini succeeds K Krishna Moorthy, who will continue as an advisor to the board. Anilkumar Muniswamy is the new Vice Chairman with Rajesh Krishnan, VP, Memory Solutions, Samsung Semiconductor India Research serving as the new Treasurer. 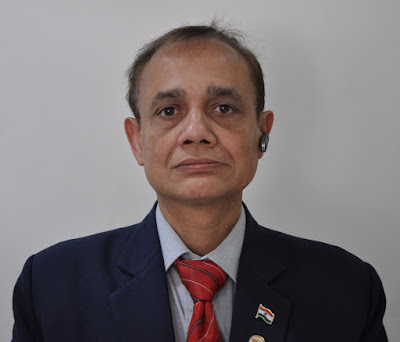 A veteran of the electronics industry for more than three decades, Aggarwal, is known for his global business, industry and operational expertise. He spent eighteen years as an executive at Hewlett- Packard Company, in various capacities including Country Sales, Country Marketing and Product Management. Aggarwal currently is the Director-Government Affairs at Applied Materials India and has been working on various industry enabling projects. “Ashwini brings deep knowledge of the high value electronics industry, as well as strong industry and governance experience, to lead the board during one of the most exciting periods of innovation and growth in our industry’s history”, said M N Vidyashankar, President, IESA. “Our priorities this year will be to consolidate the increasing traction on Make in India, nurture the emerging green shoots of the startups and entrepreneurs and build on ground activation for talent development and innovation,” shared Ashwini. “We look forward to working with the Central and State governments, our industry members, entrepreneurs and other relevant stakeholders in India and abroad- to bring India on the radar of being a manufacturing hub at a global level,” added Ashwini Aggarwal. IESA has been instrumental in working with the central and state governments to bring out favorable policies to enable Indian electronics and semiconductor sector by driving numerous initiatives to bring awareness in the policy makers and working closely with them to help the industry overcome impediments for growth. IESA has also been aggressively working towards new government initiatives like ‘Make in India’, ‘Start-up India’ and ‘Digital India’ and has given valuable consultations to international companies who have shown interest to set-up electronics facilities in India. The executive council will continue working towards achieving the vision laid down collectively by the association member community.